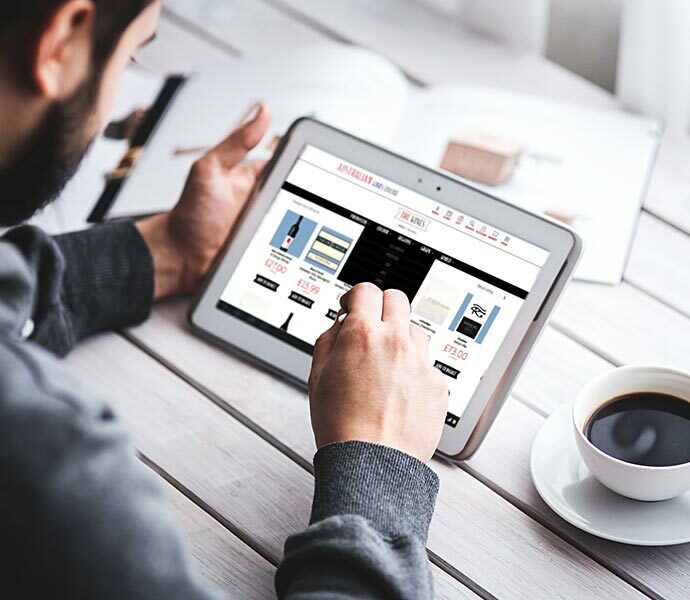 A Woo Commerce ecommerce website that increased sales value for this wine merchants within a few weeks of launching in their busiest time of the year. Aus Wines online is the online trading website for Wine Buffs Ltd, a wine merchants based in Warrington, Cheshire, UK. The business was purchased by Pete Thompson and Brian Marshall some years ago and includes impressive retail premises in Warrington as well as a number of websites. 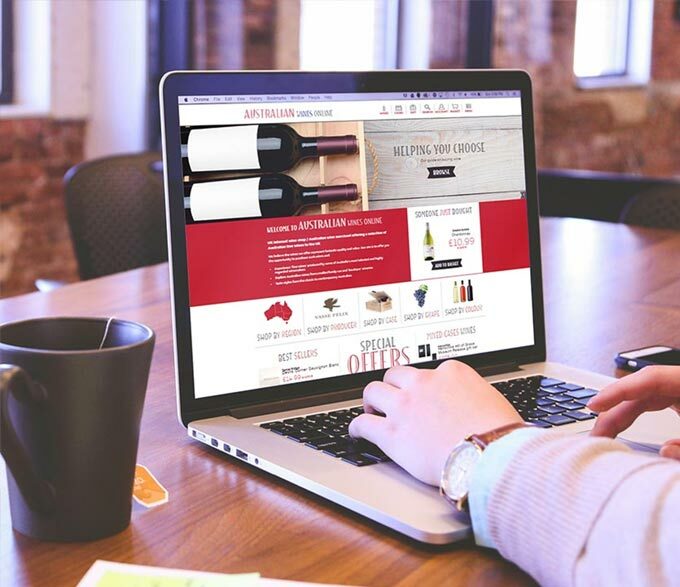 Aus Wines Online is the flagship of their ecommerce websites and sells the large range of high quality wines they import from Australia. Their main markets are Australian residents wanting to send the gift of wine to UK residents, and UK residents who want to buy Australian wine following a trip down under. The existing ecommerce website was looking very dated and sales were dropping slightly each year. As such Pete and Brian began to explore the possibility of designing and building a new website. Our initial step was to do a full review of the website’s Google ranking, product categorisation and navigation. From this initial work we could see that the Google ranking was falling (a reducing number of pages were being indexed read more here) and knew that we could increase sales for Pete and Brian. 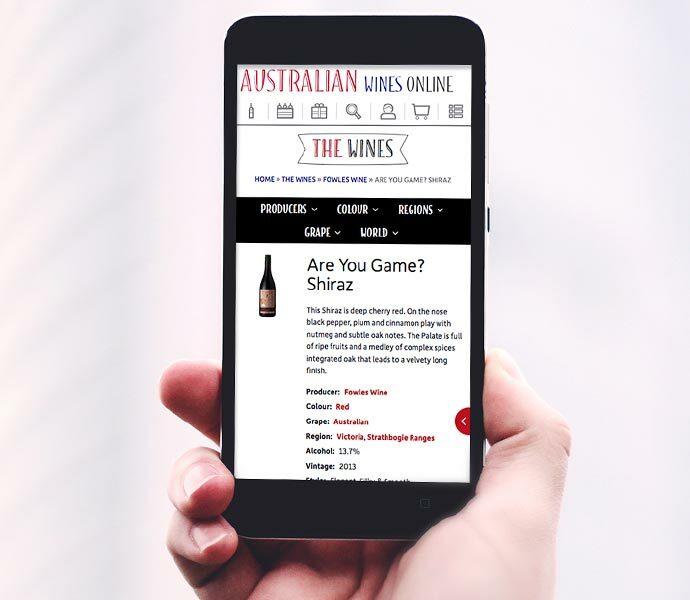 The busiest time of the year for Aus Wines Online is always the months leading up to Christmas, so we had a deadline to hit, after which launching a new website would be too risky. In addition to the fixed deadline, we knew that the new website would not have time to settle with Google so was unlikely to attract more traffic in the first few weeks after launch so increased sales would have to be gained through better engagement and navigation alone. We also knew that the back office functionality would be given the ultimate test with 10’s of thousands of pounds worth of orders expected in the first week after launch. We worked very closely with Pete to match up all of the forms and processes in Woo Commerce to his existing processes to reduce the stress of this busy time and are please to say that all went smoothly. In addition, although the number of sales were down on last year (as expected as they had been falling very slowly each year), the value of sales rose considerably, pointing to the easier navigation and great new design. We are continuing to work with Pete and Brian on their Digital Marketing and Search Engine Optimisation as we expect to see a healthy growth in traffic due to the improved navigation (read more here).